BGKT Buddhist Group of Kendal (Theravada) was founded in 1991 and celebrated its 25th anniversary in 2016. Theravada is the oldest school of Buddhism in the world. BGKT holds an open meeting once a month on the 3rd Sunday of the month, 2.00 – 4.30pm. Venue: Castle Street Community Centre, Castle Street, Kendal, Cumbria, LA9 7AD. Detached Room - entrance on the side of the building. 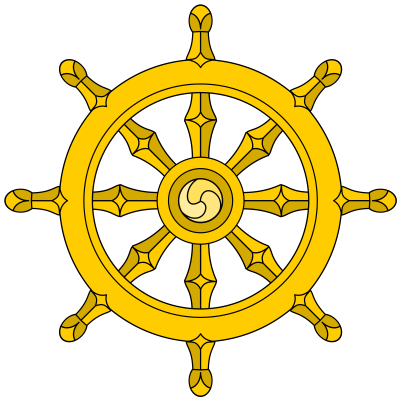 These meetings are led by lay teachers authorized by the Theravada Buddhist Sangha [Community of Theravada Buddhist Monks]. Meetings include: meditation, mindfulness, talks, discussion, Q and A and tea and biscuits. Free- donations to cover room hire welcome. The Buddhist Festival of Vesak celebrates the birth, enlightenment, and passing away of The Buddha on the full moon day in the ancient lunar month of Vesakha (May/June). This annual celebration includes a Puja Ceremony followed by sharing of food. This celebration is led by Teachers Authorized by the Sangha [Community of Theravada Buddhist Monks].